Quieter and more carlike than ever, the Ford F-150 continues to be the light-duty pickup truck by which all others are measured. The world's best-selling truck continues to evolve into a sedan with a handy bed attached. All 2003 models get a new noise control package, 75 improvements in all, according to Ford, for a 10-percent quieter ride. Audio system choices now include a cassette/CD player and an in-dash six-CD changer. 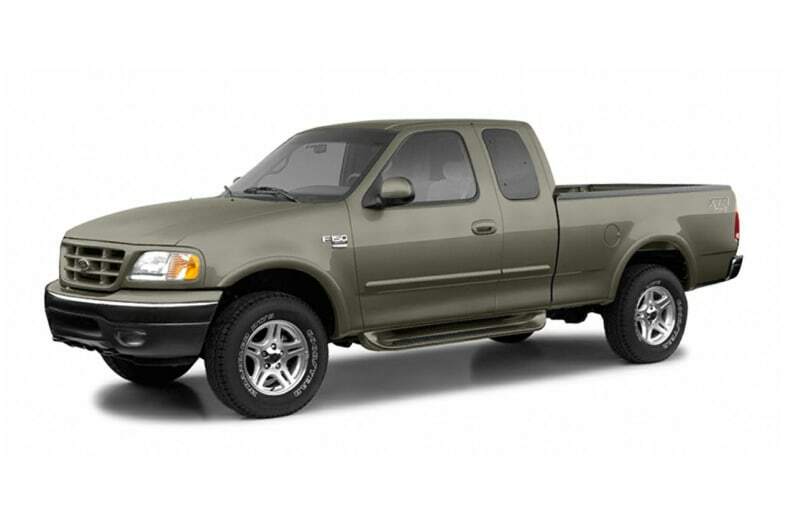 All 2003 F-150s now have the LATCH (Lower Anchors and Tethers for CHildren) systems as standard equipment. A new Heritage Edition F-150 commemorates 100 years of Ford Motor Company history. An F-150 STX Edition is newly available on Regular Cab and SuperCab XL and XLT. King Ranch models get chrome tubular running boards, a six-disc in-dash CD changer and woodgrain bezels.